Lindenwood University received a significant seven-figure foundational gift to name the Robert W. Plaster School of Business & Entrepreneurship and to serve as a lead gift in the construction of a new $21 million Academic Resources Center on its St. Charles campus. Welcome to the Robert W. Plaster School of Business and Entrepreneurship web site. 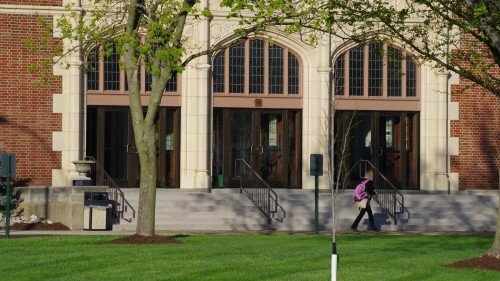 A student wishing to transfer up to nine credit hours of graduate level coursework from a regionally accredited institution may do so by requesting that his or her official transcripts be sent directly to Lindenwood University’s Office of Graduate Admissions by the school(s) previously attended. An evaluation of transfer credit will be made by the student’s advisor and the dean of the business school. 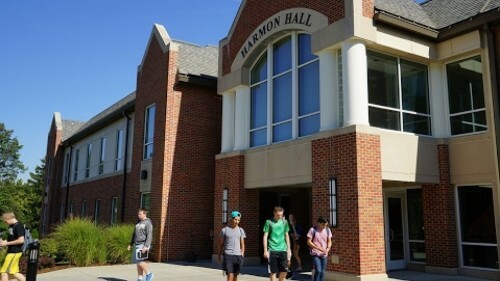 A student wishing to transfer international credit into a business program may also transfer up to nine credit hours of coursework with the approval of the school dean. To do so, (in addition to submitting a WES evaluation as a part of his or her application to the university, as described in the International Application Procedures section of this website), the student must also bring to Lindenwood notarized copies of translated and certified course syllabi that describe the topics, concepts, and material covered in each class that the student wishes to apply to transfer. Upon arrival to Lindenwood, the student will submit these syllabi to the International Office and to his or her academic advisor. These syllabi will be forwarded to the dean of the Plaster School of Business and Entrepreneurship for approval. Courses in a 5-term program may be added or dropped any time prior to the first class meeting. Classes may be added after the first class meeting only with the approval of the student’s academic advisor and the school dean. No classes may be added after the second class meeting. No student may add a class that has reached maximum capacity without the permission of the SB&E dean. Students must meet with their academic advisor before seeking approval from the dean for an override. The deadline for withdrawing from a course is the two thirds mark of the term, as set forth by the academic calendar. However, students who must maintain full-time student status will not be permitted to withdraw from a class if it would mean falling below the 9 credit hours required to maintain full time student status. Students are responsible for tracking their own academic progress and eligibility for graduation. The role of the academic advisor is to give advice to the student; however, the student is ultimately responsible for tracking his or her progress through the degree program and meeting all requirements for application for degree. Prior to graduation, students must apply to graduate. Graduation application deadlines are listed in the academic calendar in the graduate catalog. 1. Completion of Plaster School of Business & Entrepreneurship requirements for degree. 2. Completion of all coursework. 3. A minimum 3.0 GPA in all work completed as a graduate student at this university. Thank you for your interest in the Robert W. Plaster School of Business and Entrepreneurship at Lindenwood University. We take our responsibility for providing the highest quality of business education very seriously and continually re-evaluate our curricula for relevance to the modern business world. Credentialed faculty with real world experience. We recruit professors who bring both academic and professional achievement to the classroom. As a result, the majority of our 30 full-time faculty members have a doctoral degree in specialty fields—and significant, first-hand experience in the business world. Strong entrepreneurial emphasis. We believe that all successful businesses must be entrepreneurial and for that reason a significant portion of our curricula is devoted to the organization, financing and management of new business ventures. Extensive faculty-student interaction. We think the effectiveness of education is directly dependent on the quantity and quality of time our students spend with their professors. For that reason all of our classes are small to promote active student participation and all student advising is handled by full-time professors. Early student contact with the business world. We want our students to develop meaningful contacts with the business leaders of the world before they graduate. We bring in many guest speakers to our classrooms and provide hundreds of internship and mentorship opportunities. Please feel free to contact me with any questions you might have about the Plaster School of Business and Entrepreneurship. We welcome visitors to our campus and would be happy to provide a tour for you to take a firsthand look. Providing a comprehensive core curriculum of business subjects. Instilling a strong and enduring sense of ethical business practices. Providing theoretical tools and analytical skills for lifelong use. Developing the student’s communication and presentation skills. Offering major fields of study to equip students for specialized careers. Providing opportunities to supplement classroom education with real world experience. Expanding the student’s geographical and cultural horizons for success in an increasingly global economy. Instilling the entrepreneurial model as an essential component of American free enterprise. Fostering the scholarship of teaching, application, integration, and discovery among its students and faculty. Business and Accounting Student Already a Small Business Owner - Lindenwood business student Andrew talks about what he hopes to gain from his education. Building the Future of Business - The Campaign for the School of Business and Entrepreneurship at Lindenwood University. Dan Emrick, Business Manager, St. Peter's Golf Course.